We are proud to introduce our Tournament Head Officials for this 2016 European Roller Derby Tournament!!! We sincerely want to thanks all of the Referees and NSO’s from the first edition (2014) who worked so hard to make these two perfect days. A special thanks to Dire Wolff, the Head Referee & Mazuzu, the Head NSO. 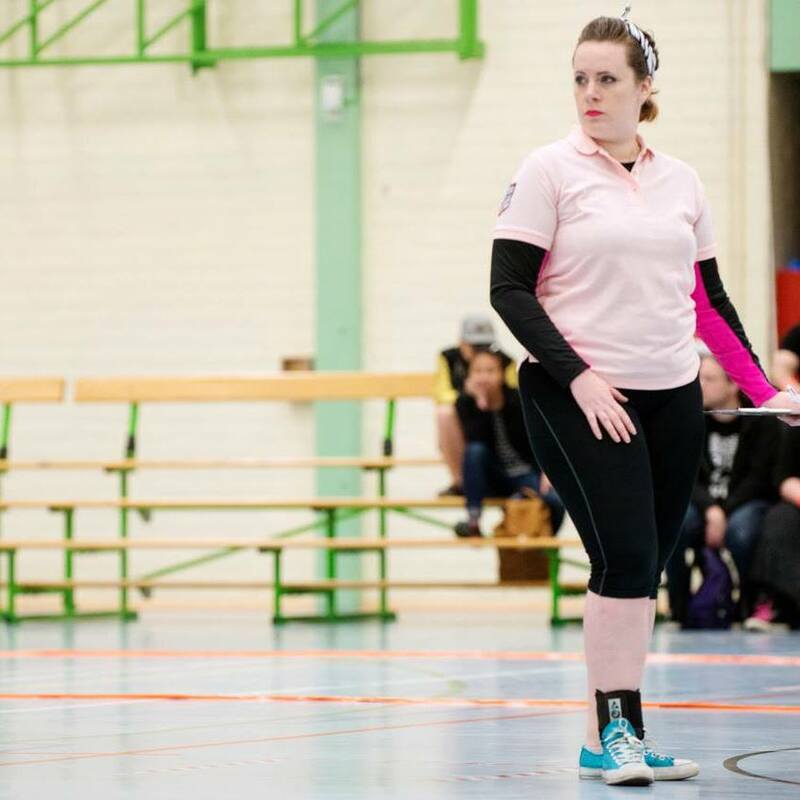 With over 300 games under her belt, Petti is one of the veteran NSOs in Europe. 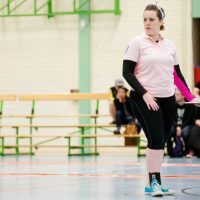 A WFTDA level 2 official from Eastbourne Roller Derby (UK), her travels have taken her from the Women’s World Cup final to crew head for the first ever tournament in Asia – The Japan Open with various high level European tournaments in between. A lover of spreadsheets and all things sparkly, she can often be found talking way too much about her adopted dog Jammer. 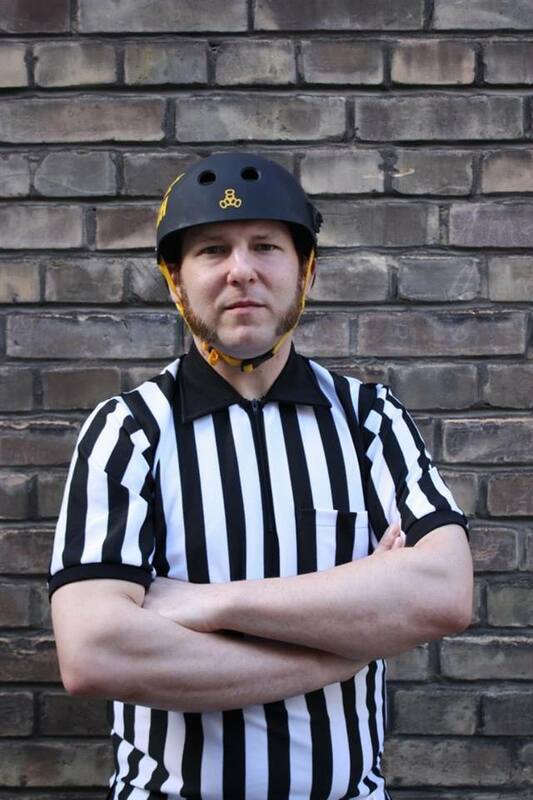 As a co-founder of Roller Derby Karlsruhe, Der Könich started to skate with his league in 2011. After one year of gaining NSO experience he started officiating as a referee in April 2012. Since then he has been officiating more than 250 games as a referee, traveling most of the European countries. 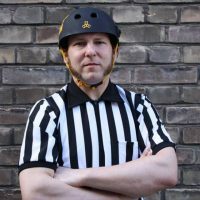 Being a WFTDA Level 3 certified referee, he was invited to officiate four tournaments in the United States in 2015 and got to officiate Roller Derby on the highest level of gameplay since then. He also started tournament head reffing beginning of 2015 and did gain some experiences doing so in the last year and a half. The Officials registration in on line! Please use this link to apply.